Multiple Grade I winners Sheer Drama and Curalina headline a small but select field of seven fillies and mares entered today for Friday’s 31st running of the $300,000 La Troienne (GI), one of five graded stakes leading up to the 142nd running of the $1 million Longines Kentucky Oaks (GI). Gates open at 8 a.m. (all times Eastern) for Friday’s 13-race program that begins at 10:30 a.m. In addition to the La Troienne, other stakes on the program are the 13th running of the $400,000 Alysheba Presented by TwinSpires.com (GII) for older horses going 1 1/16 miles on the main track, the 61st running of the $200,000 Eight Belles Presented by Big Fish Games (GII) for 3-year-old fillies going seven furlongs on the main track, the 31st running of the $150,000 Edgewood Presented by Forcht Bank (GIII) for 3-year-old fillies going 1 1/16 miles on the turf and the 22nd running of the $150,000 Twin Spires Turf Sprint Presented by TwinSpires.com for older horses going five furlongs on the Matt Winn Turf Course. Harold Queen’s homebred Sheer Drama, winner of the Delaware Handicap (GI) and Personal Ensign (GI) in 2015, opened her 2016 campaign with a victory in the Madison (GI) at Keeneland over Breeders’ Cup winners Stopchargingmaria and Wavell Avenue. Trained by David Fawkes, Sheer Drama finished second in the La Troienne last year. She will have regular rider Joe Bravo aboard Friday and break from post position two. Eclipse Thoroughbred Partners’ Curalina, winner of the Acorn (GI) and Coaching Club of America Oaks (GI) in 2015, will be making her first start since finishing third behind Stopchargingmaria in the Breeders’ Cup Distaff (GI) last October. Trained by Todd Pletcher, one of six conditioners to win the race twice, Curalina will be ridden by John Velazquez and break from post position one. Pletcher’s other La Troienne winners were Oonagh Maccool (IRE) in 2006 and Authenticity in 2013. The La Troienne will go as the afternoon’s sixth race with a 1:26 post time. The field for the La Troienne, with riders and weights from the inside, is: Curalina (Velazquez, 118 pounds), Sheer Drama (Bravo, 118), Angela Renee (Javier Castellano, 118), Brooklynsway (Robby Albarado, 118), Penwith (Luis Saez, 120), Engaginglee (Corey Lanerie, 118) and Theogony (Ricardo Santana Jr., 118). John Oxley’s Noble Bird, who just missed springing a 19-1 upset in last year’s Alysheba, figures to be a much shorter price this time around when he takes on nine rivals in the 13th running of the $400,000 Alysheba (GII). The Alysheba will go as the ninth race with a 4:02 p.m. post time. Trained by Mark Casse, Noble Bird used the Alysheba as a springboard to a victory six weeks later in the Stephen Foster Handicap (GI) here. Second in the Ben Ali (GIII) at Keeneland in his most recent start, Noble Bird will be ridden by Julien Leparoux and break from post position five. 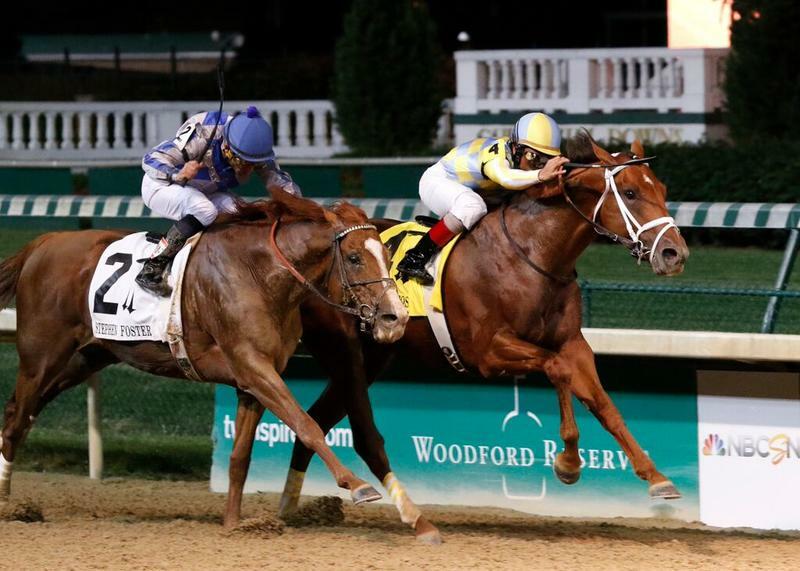 Ben Ali winner Eagle, owned by William S. Farish, will try to cage Noble Bird again. Trained by Neil Howard, Eagle will be ridden by Brian Hernandez Jr. and break from post position four. The field for the Alysheba, with riders and weights from the inside, is: Cat Burglar (Gary Stevens, 118 pounds), Natchez (Channing Hill, 118), Departing (Robby Albarado, 118), Eagle (Hernandez Jr., 120), Noble Bird (Leparoux, 120), Majestic Affair (Javier Castellano, 118), Top Billing (Joe Bravo, 118), Face of Winner (John Velazquez, 118), Majestic Harbor (Corey Lanerie, 118) and Midnight Storm (Flavien Prat, 120). Nickname, winner of the Frizette (GI) last fall and Three Chimneys Farm’s Carina Mia, winner of the Golden Rod (GII) here last fall, top a field of eight fillies entered for the 61st running of the $200,000 Eight Belles (GII) for 3-year-old fillies going seven furlongs. The Eight Belles will go as the seventh race with a 2:08 p.m. post time. Trained by Steve Asmussen, Nickname comes into the Eight Belles off a runner-up effort in the Beaumont (GIII) at Keeneland. Javier Castellano has the mount Friday and will break from post position eight. 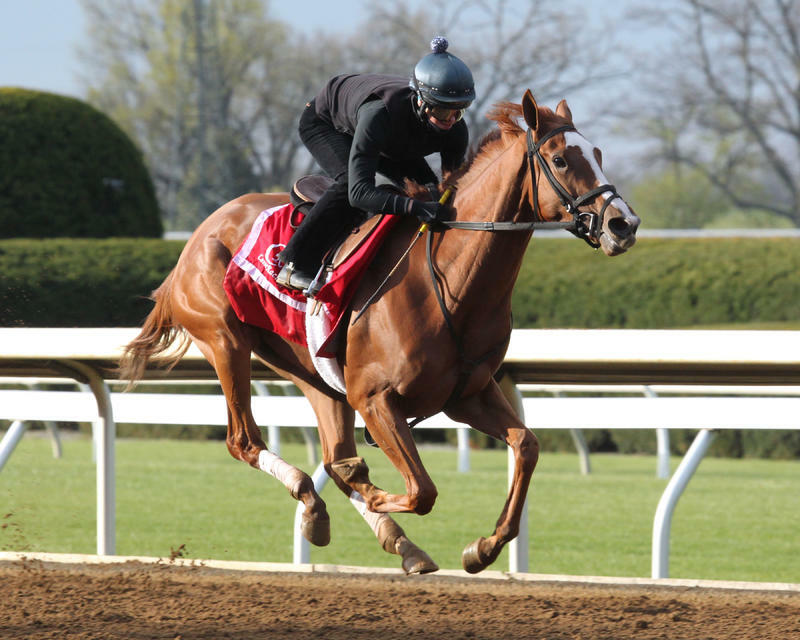 Trained by Bill Mott, Carina Mia finished fourth in the Central Bank Ashland (GI) at Keeneland in her 2016 debut behind Kentucky Oaks entrants Weep No More, Rachel’s Valentina and Cathryn Sophia. Julien Leparoux, who has ridden Carina Mia in all four of her starts, has the riding assignment Friday and will break from post position five. 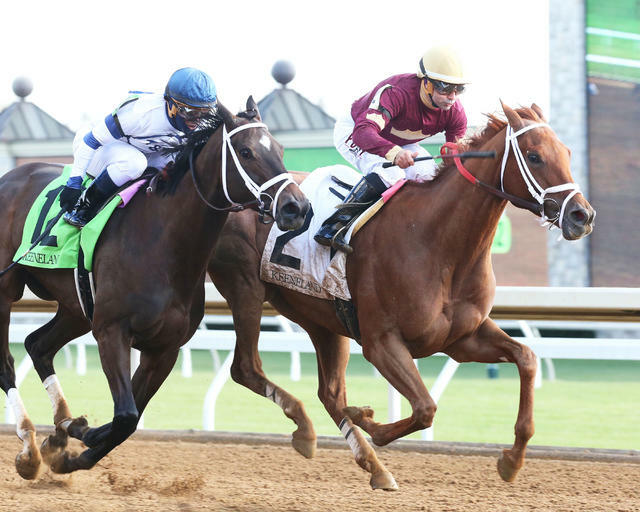 Main challengers to Nickname and Carina Mia are Marquee Miss and Stageplay..
Rags Racing Stable’s Marquee Miss, a three-time stakes winner trained by Ingrid Mason, comes into the race off a third-place finish in the Bourbonette Oaks (GIII) at Turfway Park. Channing Hill has the mount and will break from post position one. Mike Rutherford’s Stageplay, winner of the Rags to Riches here last fall and the Silverbulletday at Fair Grounds in January for Asmussen, most recently was sixth in the Fair Grounds Oaks (GII). Ricardo Santana Jr. has the mount and will break from post position seven. The field for the Eight Belles, with riders and weights from the inside, is: Marquee Miss (Hill, 120 pounds), Jade Princess (Victor Espinoza, 118), Summer Reading (Luis Saez, 118), Put Da Blame On Me (Corey Lanerie, 118), Carina Mia (Leparoux, 118), Blip n’ Th Bye (Florent Geroux, 118), Stageplay (Santana Jr., 120) and Nickname (Castellano, 123). Gary Barber, Michael Ambler and Windways Farm’s Catch a Glimpse, winner of last fall’s Breeders’ Cup Juvenile Fillies Turf (GI) and undefeated in five career grass starts, headlines a field of 13 3-year-old fillies for Friday’s 31st running of the $150,000 Edgewood Presented by Forcht Bank (GIII). Run at 1 1/16 miles on the turf, the Edgewood will go as Friday’s 10th race with a 4:52 p.m. post time. 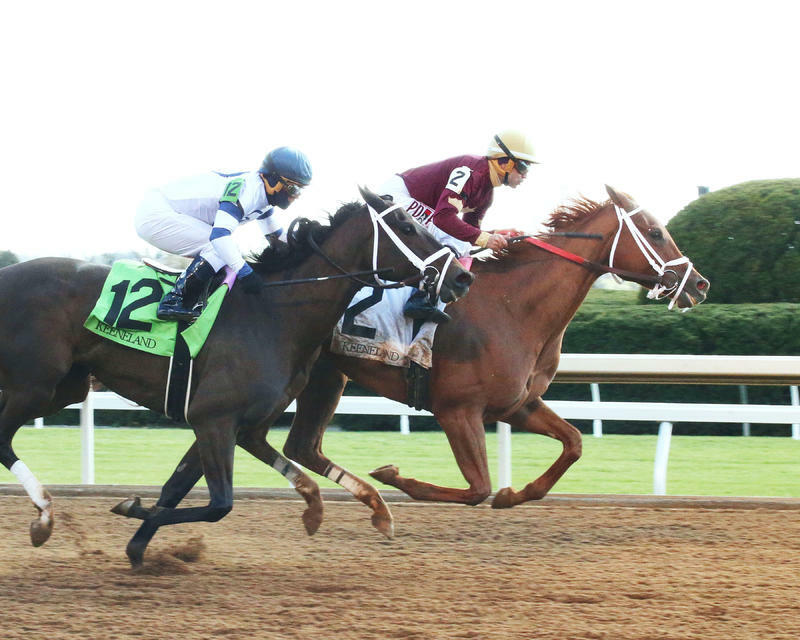 Trained by Mark Casse, Catch a Glimpse won the Appalachian (GIII) at Keeneland on April 14 in her most recent start. Florent Geroux, who has been aboard for her past four victories, has the call Friday and will break from post position 10. Back to challenge Catch a Glimpse are the 2-3 finishers from the Appalachian in Ken and Sarah Ramsey’s Ava’s Kitten and Del and Martha Pettigrew’s Outsider Art. Ava’s Kitten, trained by Chad Brown, will be ridden by Javier Castellano and break from post position five. Drayden Van Dyke has the call on Outsider Art and will break from post position seven for trainer Jonathan Sheppard. The field for the Edgewood, with riders and weights from the inside, is: Harmonize (Junior Alvarado, 123 pounds), Born to Be Winner (Luis Saez, 118), Nodiac (IRE) (Flavien Prat, 118), Auntie Joy (Brian Hernandez Jr., 118), Ava’s Kitten (Castellano, 120), Jeremy’s Legacy (IRE) (Mario Gutierrez, 118), Outsider Art (Van Dyke, 118), Enjoy Yourself (GB) (Joel Rosario, 118), Believe in Bertie (Shaun Bridgmohan, 118), Catch a Glimpse (Geroux, 123), Sky My Sky (Julien Leparoux, 118), Adore (Irad Ortiz Jr., 118) and Heavenly View (John Velazquez, 118). AJ Suited Racing Stable and trainer Brian Lynch’s Power Alert (AUS) will attempt to become the first repeat winner of the $150,000 Twin Spires Turf Sprint Presented by TwinSpires.com (GIII) when he faces 12 rivals Friday. 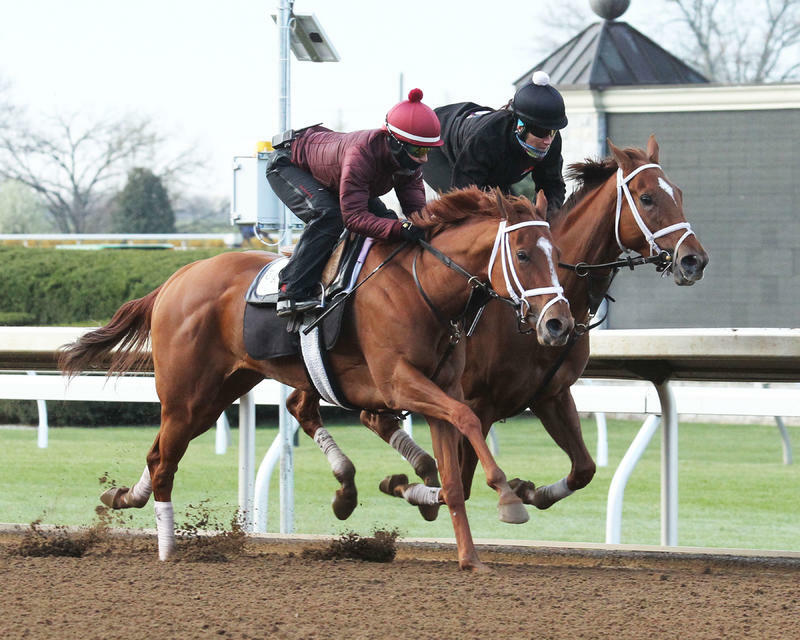 Set as the eighth race on Friday’s program, post time for the 22nd running of the five-furlong race is 3:02 p.m.
Power Alert comes into Friday’s race off an eighth-place finish in the Shakertown (GII) at Keeneland on April 9. 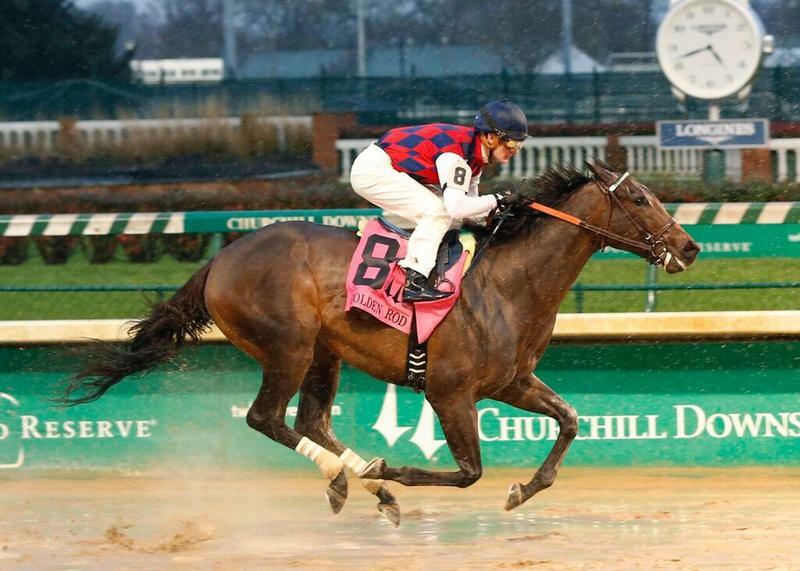 In winning last year’s edition of the Twin Spires Turf Sprint, Power Alert established the stakes record of :55.17. Julien Leparoux, who was aboard for last year’s victory, has the mount Friday and will break from post position one. One of Power Alert’s chief rivals figures to be Mrs. John Magnier, Michael Tabor and Derrick Smith’s Hootenanny who is trained by Wesley Ward. Winner of the 2014 Breeders’ Cup Juvenile Turf (GI) at Santa Anita, Hootenanny came off a 9 ½-month layoff to run second at Woodbine in the Jacques Cartier on April 9. John Velazquez has the mount and will exit post position seven. The field for the Twin Spires Turf Sprint, with riders and weights from the inside, is: Power Alert (AUS) (Leparoux, 122 pounds), Summation Time (Javier Castellano, 120), Mongol Bull (Brian Hernandez Jr., 120), Rocket Heat (Flavien Prat, 120), American Sailor (Luis Saez, 120), Alsvid (Chris Landeros, 120), Hootenanny (Velazquez, 120), Weast Hill (Joe Rocco Jr., 120), Speightsong (Corey Lanerie, 120), Latent Revenge (Florent Geroux, 120), Something Extra (Shaun Bridgmohan, 120), Guns Loaded (Mario Gutierrez, 122) and Sylven Park (Sophie Doyle, 120).